SAN DIEGO -- Donald Trump will go to trial in a class-action lawsuit against him and his now-defunct Trump University after the presidential election but before the inauguration, setting the stage for a president-elect to take the witness stand if he wins the White House. The California suit, initially filed by Orange County resident Tarla Makaeff, accuses Trump of misleading students at the university, which cost $35,000 for an "elite"' membership, CBS affiliate KFMB reported. 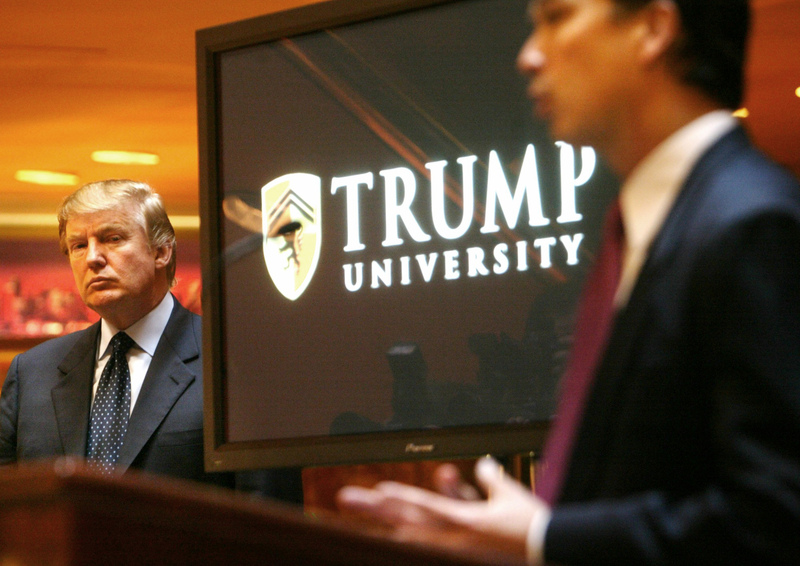 The suit says Trump University, which no longer operates and was not accredited as a school, gave seminars and classes across the country that were like infomercials, constantly pressuring students to buy more and, in the end, failing to deliver. Since the early 1980s, Trump personally has been sued at least 150 times in federal court, records show. Only a handful of those cases are pending, with the ones involving Trump University -- two in California and one in New York -- being the most significant. Trump said of the judge at an Arkansas rally in February: "I believe he happens to be Spanish, which is fine. He's Hispanic -- which is fine." The New York suit, filed in 2013 by state Attorney General Eric Schneiderman, accuses the billionaire and others of making phony claims to convince more than 5,000 people, including 600 New Yorkers, to "spend tens of thousands of dollars they couldn't afford for lessons they never got." Earlier this month, a New York judge A New York judge heard procedural arguments in the lawsuit, including a debate over whether the case should be decided by a judge or a jury. Schneiderman said Trump would be an "essential" witness when the case goes to trial.